I've teamed up with Name.Kitchen for a two part business series on choosing the perfect name & URL and this is part two! All opinions expressed are my own. Do you dream of starting a business? What about starting a blog? 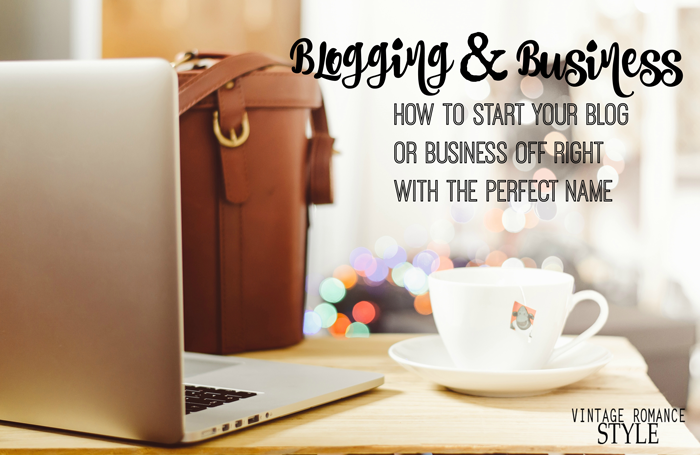 I get asked a lot about how to start a blog so that's why I'm incorporating a new small business section on VRS. When I first started blogging in 2008 I didn't really think much of my blog name let alone turning it into my full time job and business. I started blogging when a "blog" was just an online diary. You'd even giggle if you saw my past posts. Blogging has evolved tremendously. From an online diary to a platform for women of all ages to turn a creative dream into a reality. I for one know and it's taken me over 7 years to learn all of these so called inside secrets. Literally, blood sweat and tears have went into this little blog of mine. So let's get down to some things that I learned along the way. When I chose my first blog name, it was called "The Fancy Yanceys." Now there is the Fancy Yancey cheese sold in stores. I'm really glad that my style and name evolved. It didn't say anything about my personality nor my style. Hence someone else used it too! As my blogging changed, I decided I needed to take it seriously and turn it into my full time job. That is when I finally bought my own URL complete with a new brandable name to launch. The relaunching of my blog happened just a few years ago. Even then, when I chose my name, I wasn't aware that there were options other than .com. My go to domain name would have always been .com, but now there are SO many more options that let your URL choosing be a creative and unique process. That's why it's crucial to educate yourself before you dive into your business full speed. So what's in a name and why is it so important? My #1 advice for chasing your dreams and starting the blog or business you've always dreamed of is choose a name that represents who you are and that will be memorable. Your name will be THE most important. It will represent what your business is about. It is how people will remember YOU! My URL helped my blog become more professional so I highly recommend that if you are considering being a blogger or business owner, start by buying your domain name. You will own all of your content and be able to control everything that is yours. Also, choosing a unique name will set you apart. That is why I love the future forward thinking of Name.Kitchen. It also allows you to choose a not-com domain which I think is amazing! So you're asking what is a not-com website? Well, after 30 years of internet stagnancy, you are now able to be unique and creative when it comes to choosing your own URL. These not-com URL options have so many benefits including memorability and creativity. My advice is to really think about your URL for a while before deciding to jump on it. I wavered back and forth for months before finally deciding on mine. Kitchen powered by Donuts gives you the ability to create something fresh and new. It also helps your readers quickly identify what your blog is about. I could've even chosen VintageRomance.Style! How cool is that? So, if you're a baking blogger you could choose SweetTreats.Recipes. If you have a photography business it allows you to create for example, TerynYancey.Photography. Love fitness? LipstickandSquats.Fitness. Those are just a few examples of the things that you can "cook" up! They even offer a naming tool to help you easily find your place in the blogosphere. Another great thing that they have is their I Am video series to see how others chose their perfect URL. After skimming the internet for unique naming ideas, I came across a company that inspired me and actually used a not-com domain in a genius way. Not only did they chase their business dreams but they chose a future forward URL and hit the nail on the head! I want to share DriftAway.Coffee from Brooklyn, NY with you today to inspire you to chase your dreams and go for it like they did! 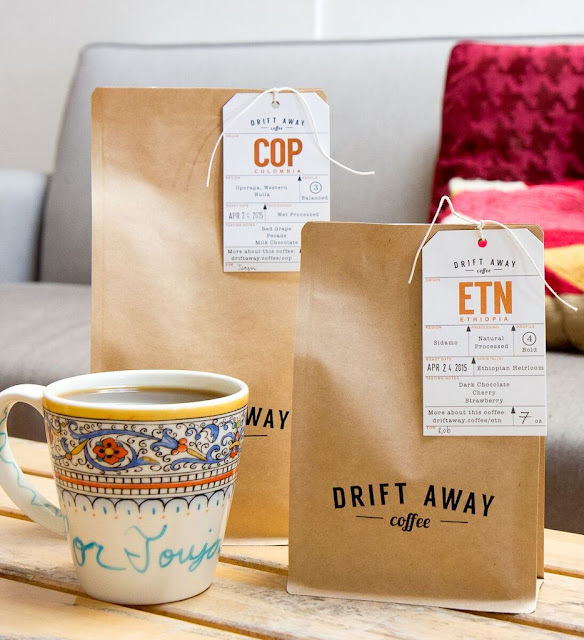 Anu Menon and Suyong Mody decided to leave their corporate jobs, chase their dreams and create a coffee subscription service that delivers fresh-roasted coffee personalized to your palette. So inspiring! Instead of just talking about their dreams while working their 9-5 jobs all week, they did something about it. They started DriftAway.Coffee as a way to create, do work that they were passionate about and fulfill their need for some great coffee. Who doesn't love coffee? See what I meant by choosing a name that perfectly sums your business up? You can read more about why Mody and Menon picked their name and why they chose a not-com HERE. Now, when creating your own just like Mody & Menon, in terms of availability, most people have had the frustrating experience of not being able to secure the .com of their choice, or having to create a ridiculously long and hyphenated name. As these "not-com" choices are new,the very best names are still available to be registered... and finally we all know that better names are more memorable names. Amen to that! So, did you learn anything here today? 1. Invest in time researching your name. 4. 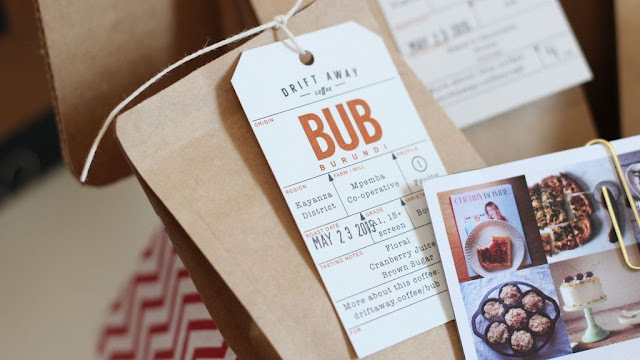 Chase your dream of being a blog or business owner with the perfect name. One that you are proud of! 5. 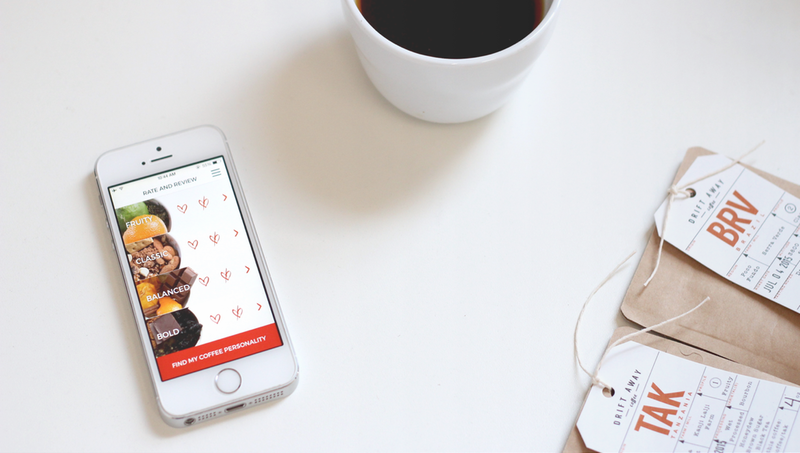 Use Name.Kitchen to create the URL that fits your new business adventure! Here are some of my naming tips so that you CAN decide on the perfect name! - When choosing a blog name you want to make sure that it would sound great as a business name too. If you are going to monetize it and make money you will need the perfect name. -Make sure it is something that won't go out of style and will stay classic. -Your name is also a great way to be unique and it never will get old. -Choose a URL that you won't regret later in life. -Take some time to think about it. Don't jump on the first idea that you get. -Think of what your business or blog is going to be about. -Don't put yourself in a box. If you aren't wanting to stick to just recipes you will want a URL that will allow you to do more. Ready to get cooking with Name.Kitchen? Claim your name here! This is a sponsored post written by me on behalf of Name.Kitchen. All opinions expressed are mine. This is amazing! You have really done some spectacular things. I've enjoyed reading your journey!